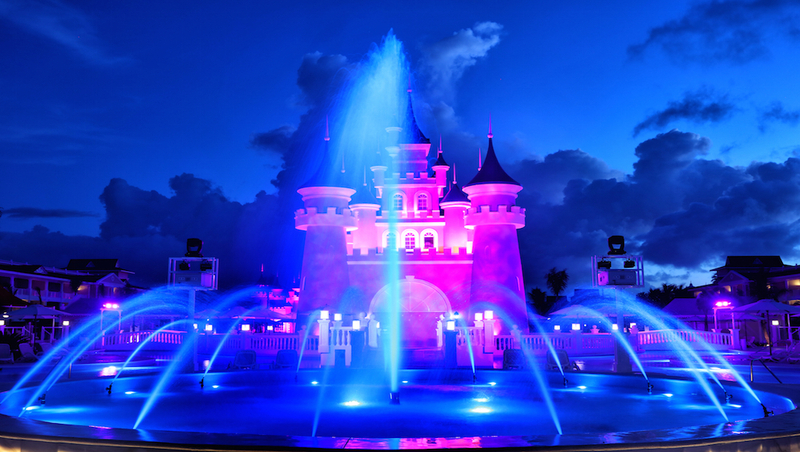 Don't skip the nightly light show extravaganza at the Bahia Fantasia. Don't even try and get the kids out of the Fantasia pool. The Waterpark is a maze of slippery slides that kids will love. The at Luxury Bahia Principe's kid's club features creative fun. Large-scale works of art will catch your eye around the resort. The water is just perfect in Bavaro, a favorite DR resort area. 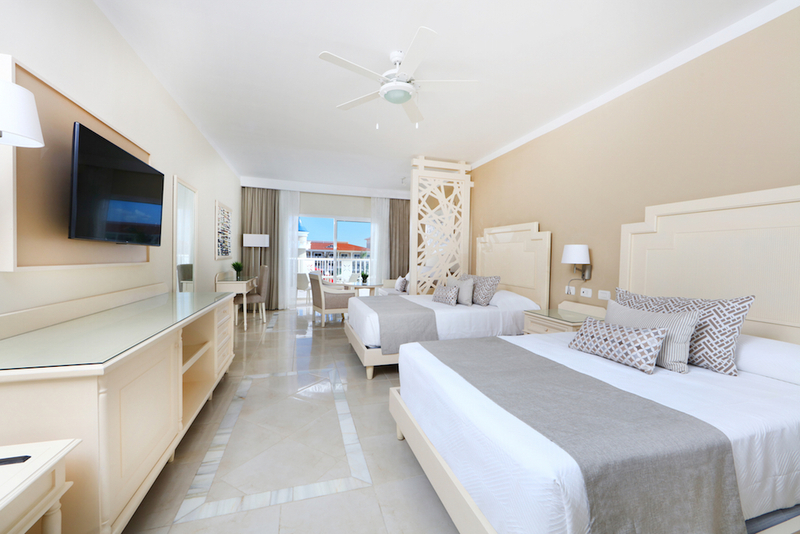 Punta Cana is satiated with all-inclusive resorts yet the Luxury Bahia Principe Fantasia Don Pablo Collection rises above the pack, delivering an energetic, all-inclusive family beach vacation that takes it up a notch with unbeatable live entertainment. Full disclosure: I’m a native New Yorker and we do everything big. In the Big Apple, one thing we’re not big on is subtlety; we thrive on in-your-face experiences and we don’t sugarcoat our opinions. Perhaps that’s why I felt right at home at the new Luxury Bahia Principe Fantasia Don Pablo Collection resort in the Dominican Republic. Opened in late 2016, everything about the property is bigger and bolder than any Caribbean resort I’ve been to. I felt like I’d hit the jackpot. The resort’s proximity to the airport, just a swift 20-minute ride, is gold. I took an early morning nonstop flight from JFK and was swimming in the sea by noon. The open-air lobby is filled with large-scale works of art. Gaze at them and enjoy a tropical drink and refreshing towel as you approach the reception. The youngest members of your family should enjoy the special kid’s check-in. Our check-in went as smooth as silk — almost too smooth. There were circus performers in the lobby juggling and doing acrobatic feats, so we would have happily stayed put for much longer. I quickly understood why the hotel was called Fantasia or fantasy; out-of-this-world entertainment provides a nonstop sensory treat. On the way to our room, we couldn’t not notice the massive castle-like structure in center of the pool area. 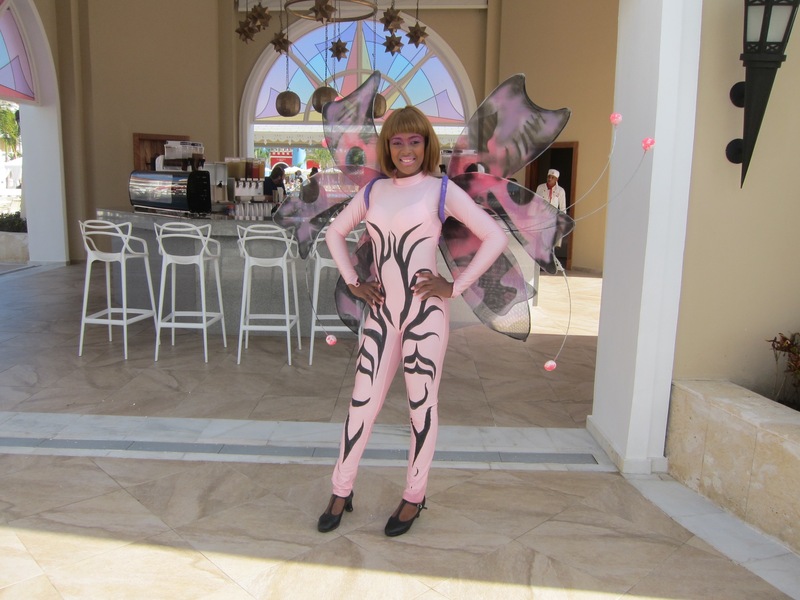 We also noticed costumed entertainers dressed like insects buzzing around. Eye-catching architecture and live entertainment with mucho kid-appeal is part of the fantasy. With seven Bahia resorts onsite, this place is big. But each resort is separate, so it doesn’t feel overwhelming. Fantasia guests may utilize the facilities at the other six Bahia resorts. There are 512 rooms and ours was spacious and bright. Each includes a sofa bed, plus either two full-size beds or a king. There are adjoining rooms available for large or multi-generational families. Accommodations include amenities such as Wi-Fi, in-room safes and cable television.The terrace had a view of the pool and a small table and chairs. It was a prime spot for my morning coffee and room service breakfast, which was a real treat and incurred no extra charge. The Fantasia has frequent shuttles that will whisk you to the beach in under 90 seconds. You may also walk the palm-laden, stroller-friendly path in 5 minutes. You’ll stroll through one of the other Bahia hotels, so the path is private and safe. The grounds are lush and flower-filled, lovingly tended by a devoted team of gardeners. 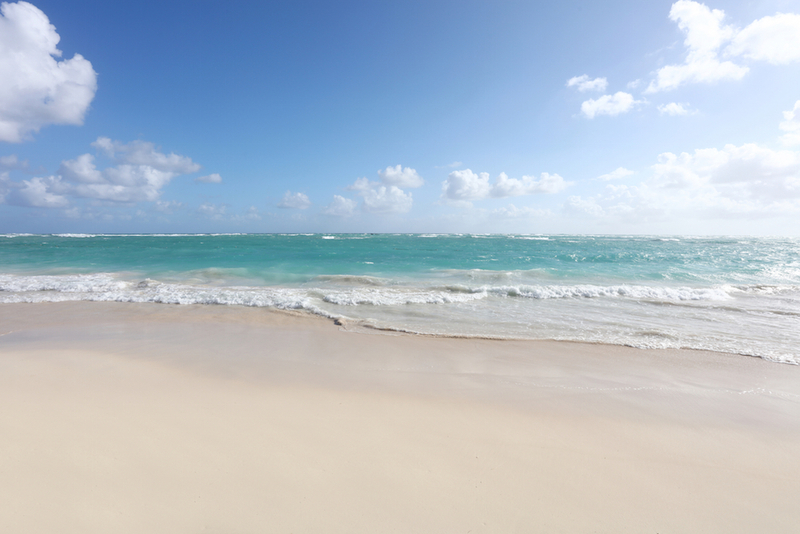 If this is your first visit to Punta Cana, one look at the beach, with its powdery white sand, sparkling sea and sweeping fringe of coconut and palm trees and you’ll understand why it’s called the Costa del Coco, or Coconut Coast. These glorious natural attributes are also why it’s so packed. This was not going to be a secluded beach experience, but the action-packed vibe was just fine for my urban sensibilities. Once I jumped in the aquamarine ocean, it was pure bliss. Despite the large number of guests, I am happy to report there was always a lounge chair available, something often missing at other beach resorts. You may borrow kayaks, paddleboards and snorkel masks for additional aquatic fun. The Fantasia has two gigantic pools and a big waterpark loaded with slides for hours of additional splash. 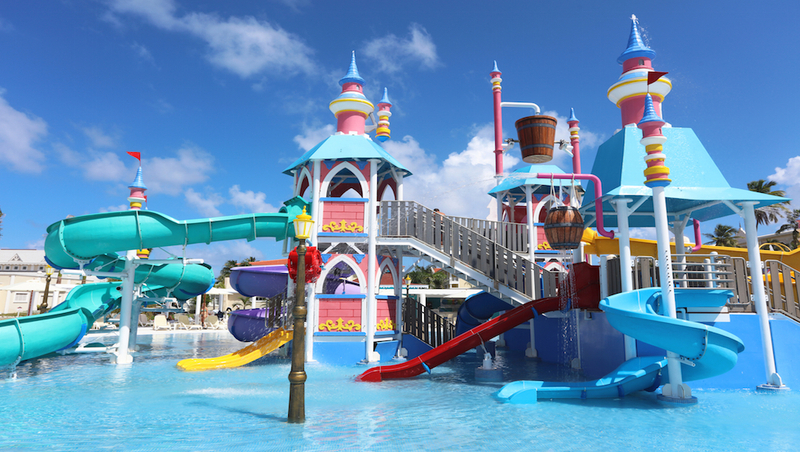 If you crave activities on dry land, the Adventure Park is located at one of the adjacent Bahia resorts, just a short shuttle ride or stroll away. The kids may engage in a range of adventurous activities including a zipline, so boredom is off the table. You’ll find buffet dining options with a bounty of fresh choices served three times each day, so there is much to tempt tiny appetites. Don’t miss dining at one of the specialty restaurants, reservations required. We sampled the French-infused Le Gourmet, the Italian eatery Il Paradiso and the Garden Circus Restaurant. The food and service is uniformly excellent, but it’s the entertainment that is unforgettable. At the Garden Circus, a rainbow of jugglers, contortionists and stilt walkers paraded for our pleasure. At Il Paradiso, three tenors serenaded us in the style of Carreras, Pavarotti and Domingo, the trio of famed operatic tenors. Children age 4-12 may spend all or part of each day in the colorful kid’s club. 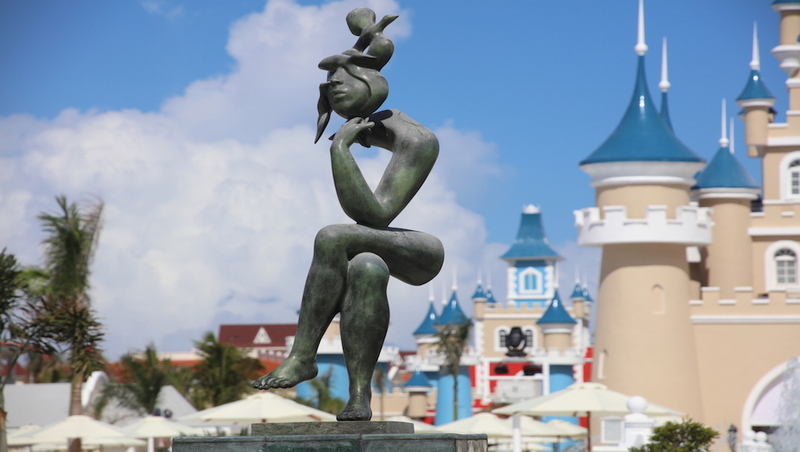 It offers innovative art experiences that fit in perfectly with the resort’s fantasy theme. Hands-on craft workshops and do-it-yourself cooking labs looked fun. The club doesn’t serve meals, so parents must pick up their children for lunch. For babies and toddlers, the resort is happy to secure a sitter for an additional fee. Teens are a hard to please bunch, but the Fantasia goes out of their way to entice them with the Loft, a space exclusively for guests ages 12-17. The graffiti-strewn walls are an appropriate teen touch. Teens can enjoy a gym, screening room, dance-floor with a DJ, pool table, spa and much more. 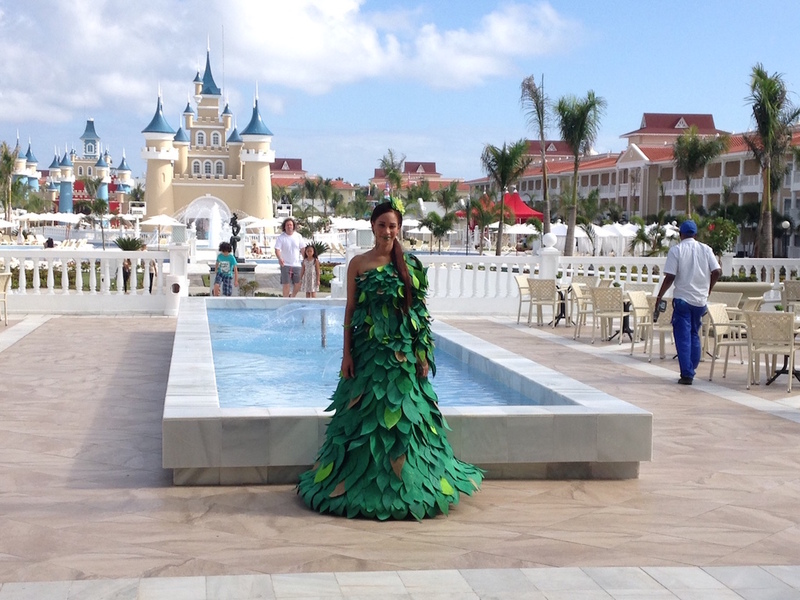 The Luxury Bahia Principe Fantasia beats the competition for several other reasons. The talented staff and creative entertainment made the experience unique from start to finish. At checkout a dozen staff members, including busboys, maids and managers, broke-out in a farewell song and dance routine that looked straight out of “Punta Cana’s Got Talent.” It would have been kitschy had they not been so talented. Their genuine enthusiasm, coupled with bona fide skill, was unforgettable. At 10 pm each evening, the poolside light and sound show is so good you’ll set your watch to see it nightly. The evening entertainment options are terrific but the engaging staff entertains throughout the day for wrap-around fun. The can-do employees deserve special mention. Aurelio was our friendly, multi-lingual butler; yes, there is butler service, so your whims will be constantly catered to. Waiters, cleaning people and shuttle drivers were uniformly helpful. Fantasia offers the ease you expect at an all-inclusive resort. Everything except spa treatments (and the spa is an oasis within an oasis, so consider booking a service) is included, so there are no costly surprises when it’s time to say adios. If your vacation is anything like mine, you’ll leave wishing you’d booked a few extra days. For more information on Bahia resorts, contact your travel agent or visit Bahia-Principe.com.